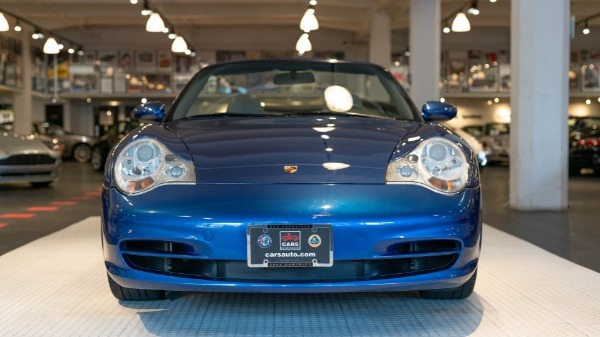 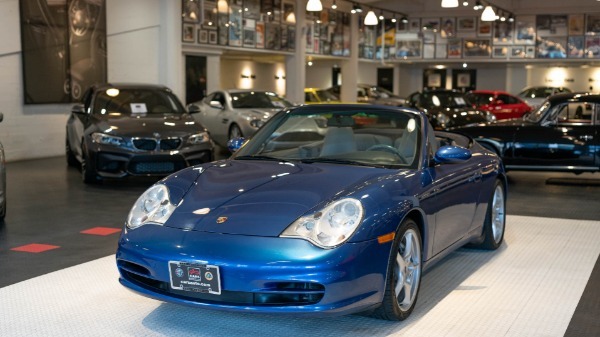 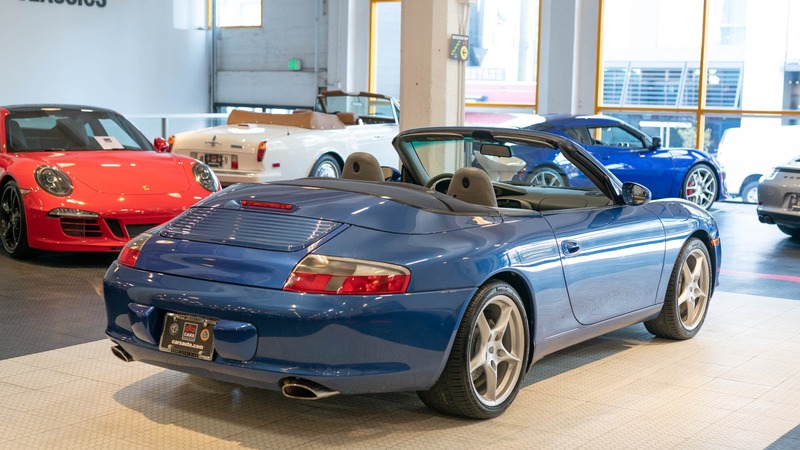 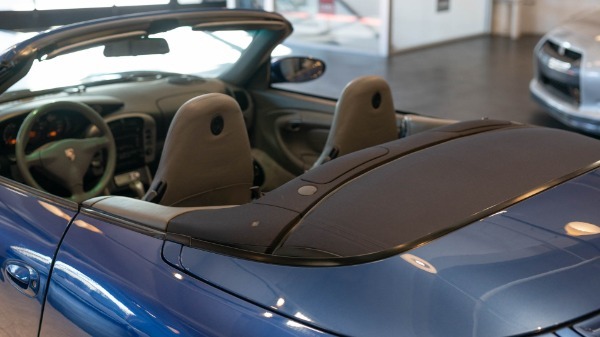 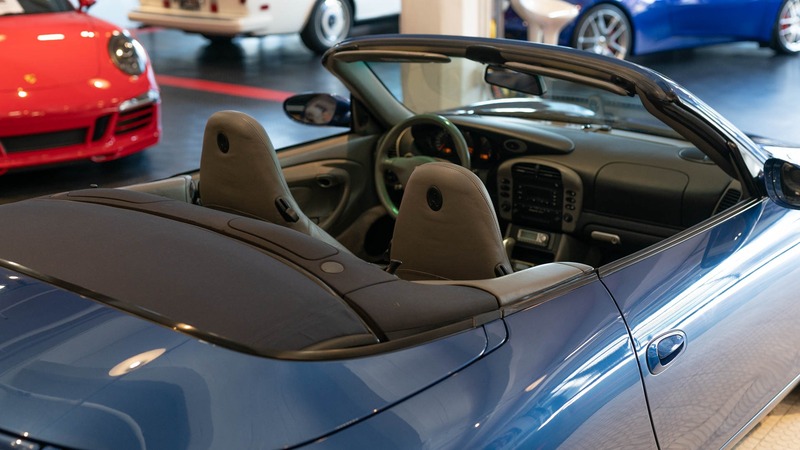 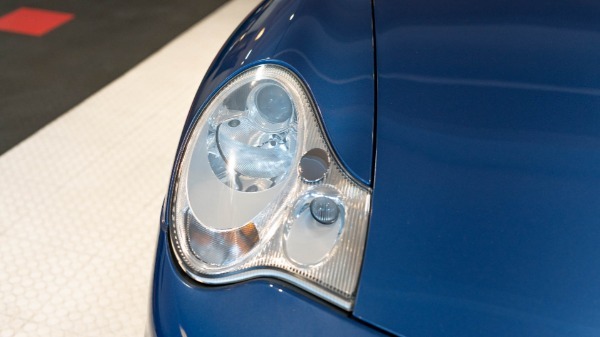 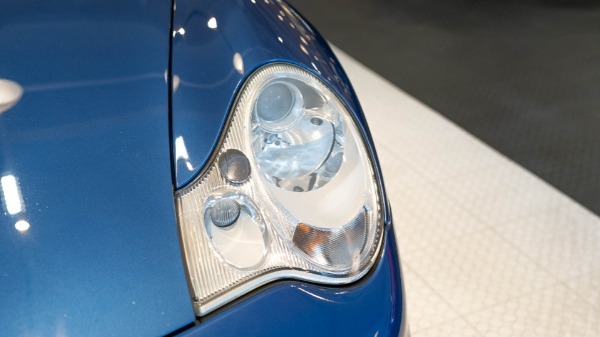 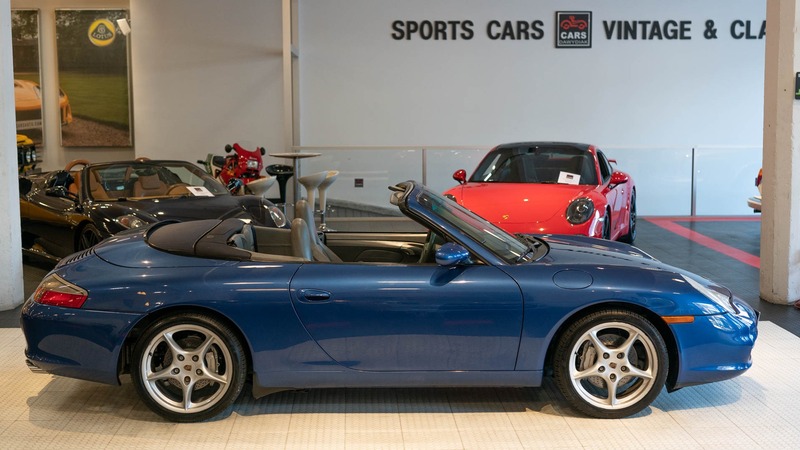 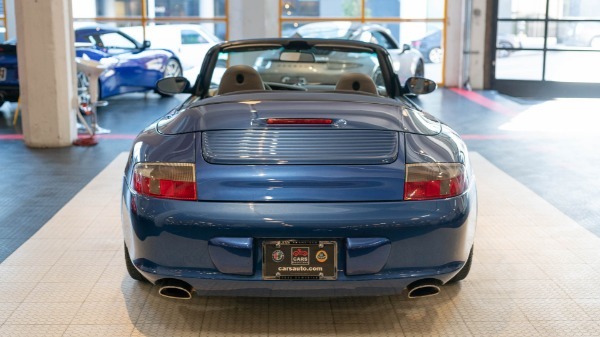 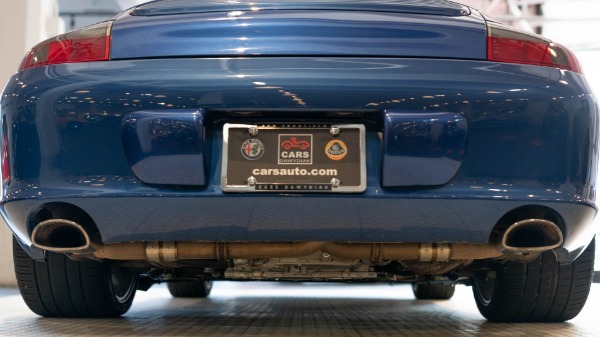 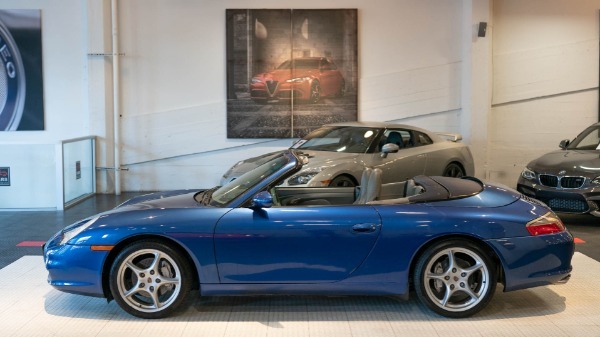 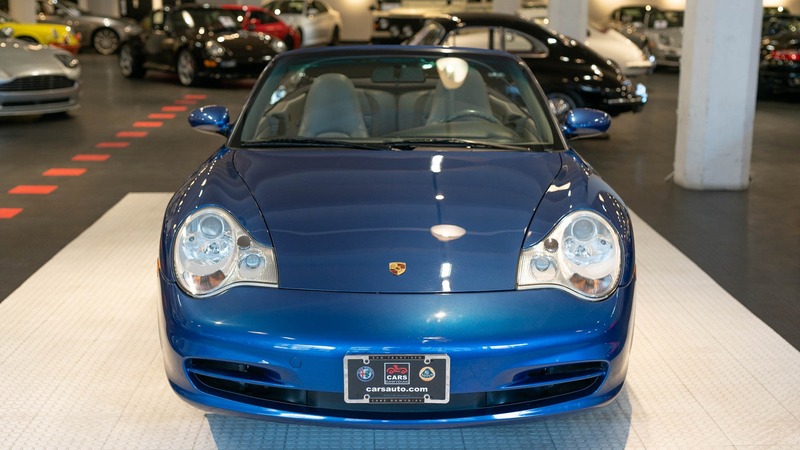 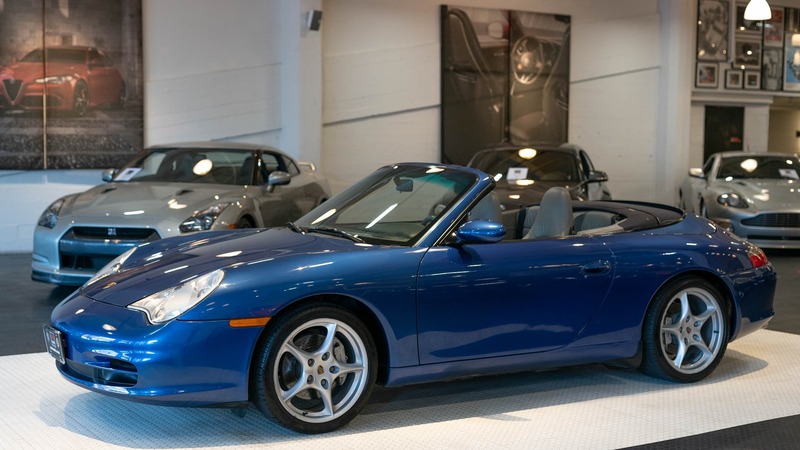 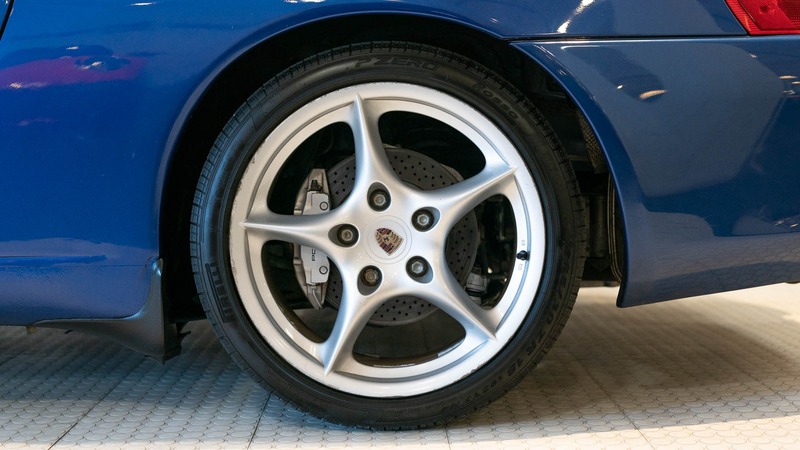 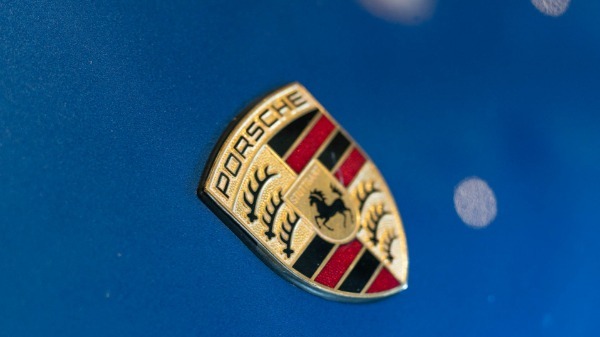 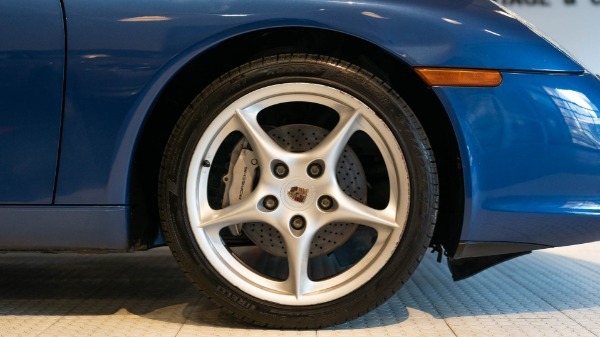 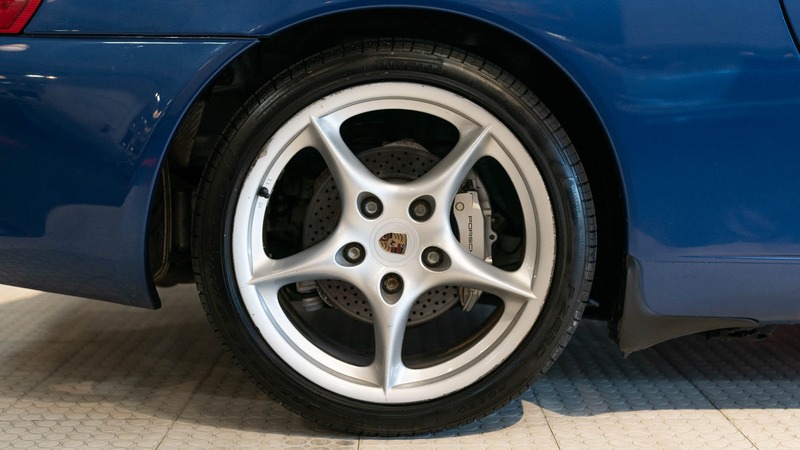 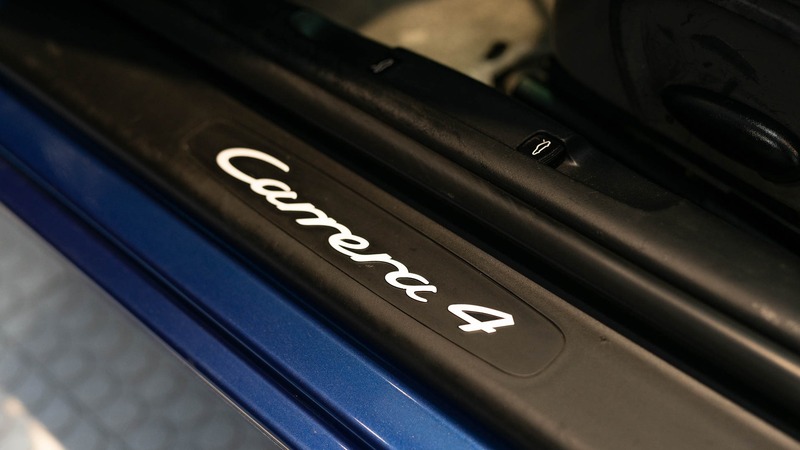 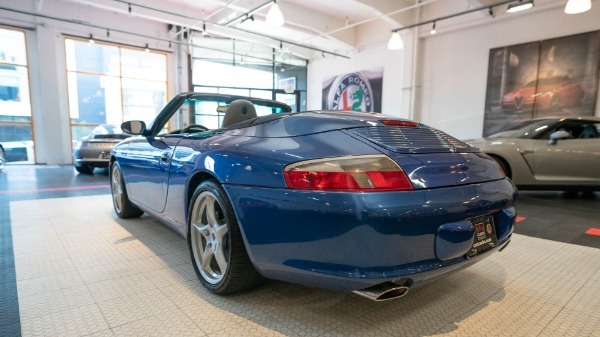 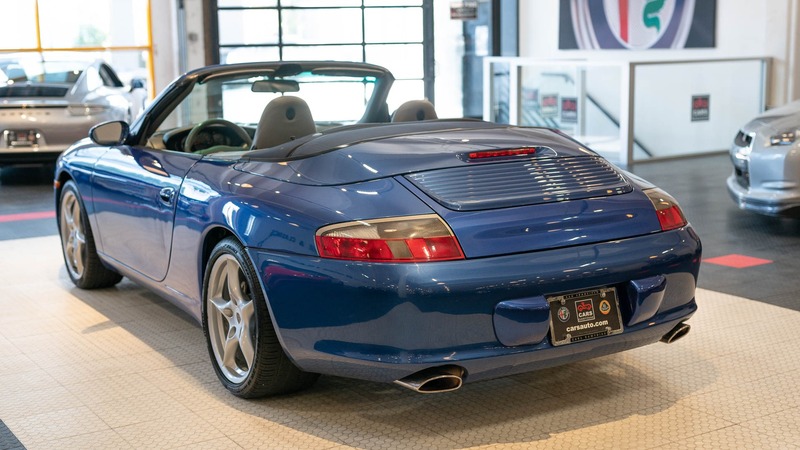 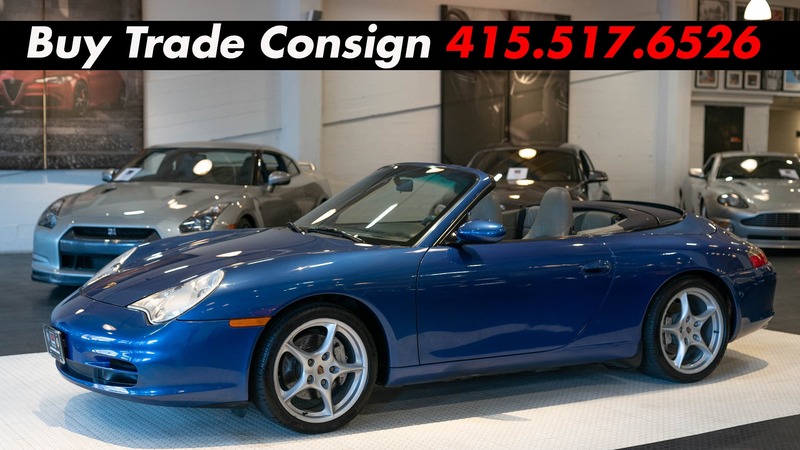 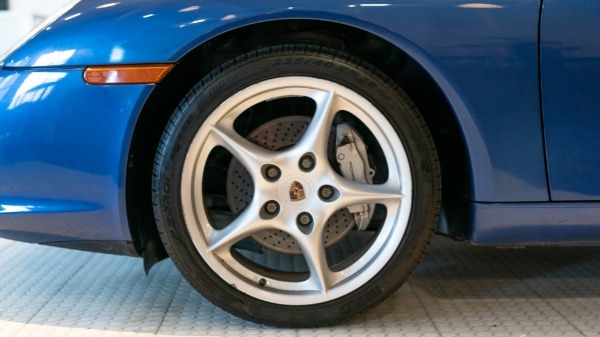 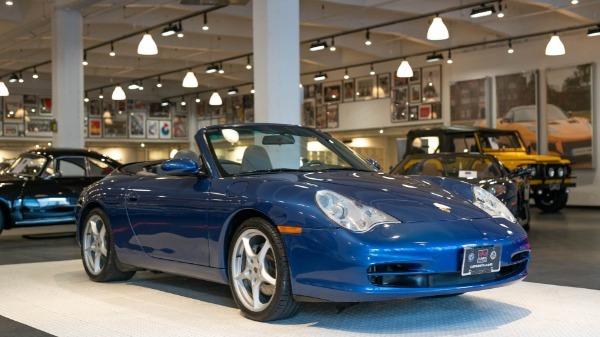 A local, one-owner, San Francisco Bay Area 911 Carrera 4 Cabriolet finished in Cobalt Blue Metallic. 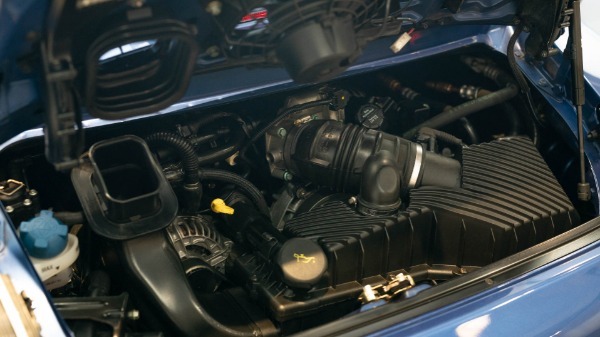 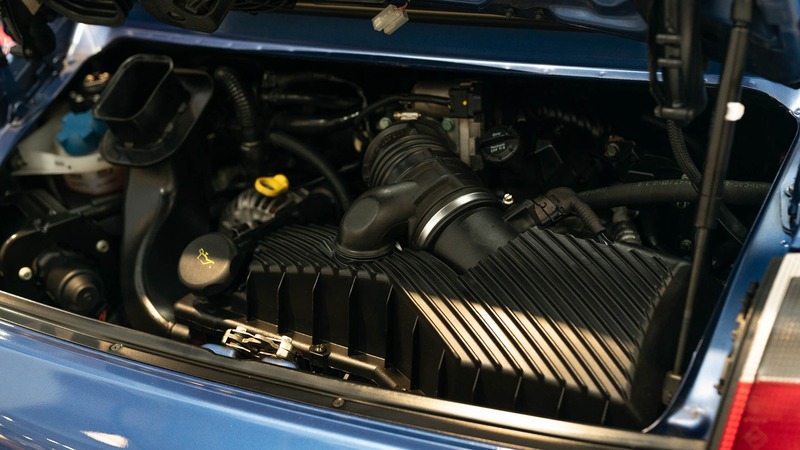 The vehicle recently received a replacement powerplant due to an IMS bearing failure, with the powerplant retaining a 1 year warranty. All books and manuals are present, as well as two master keys and service records dating back to January, 2004. 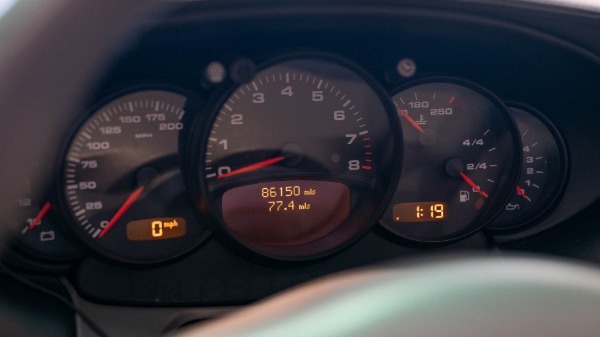 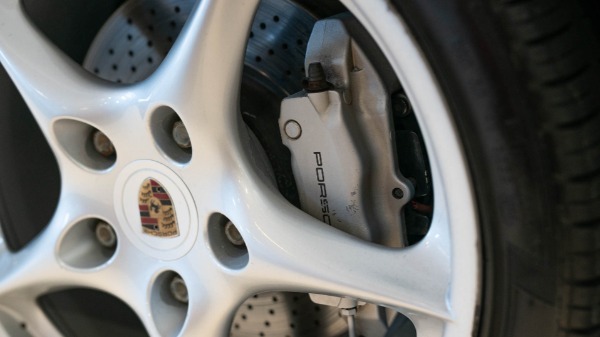 Other recent services include, new brake pads and rotors at 62k miles, new clutch and flywheel at 68k miles, and Pirelli PZero Tires at 73k miles. 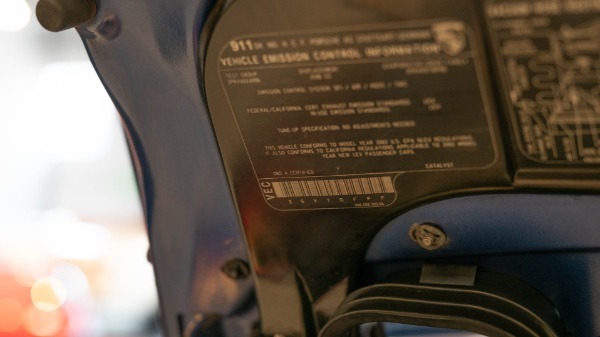 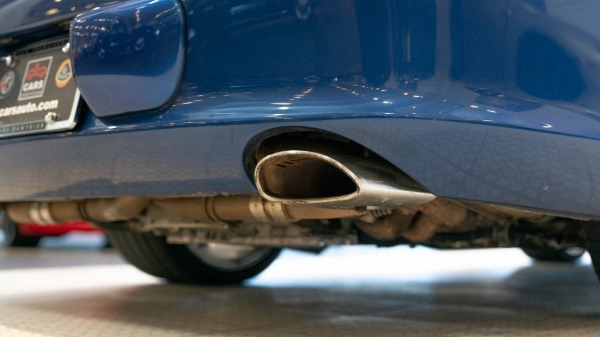 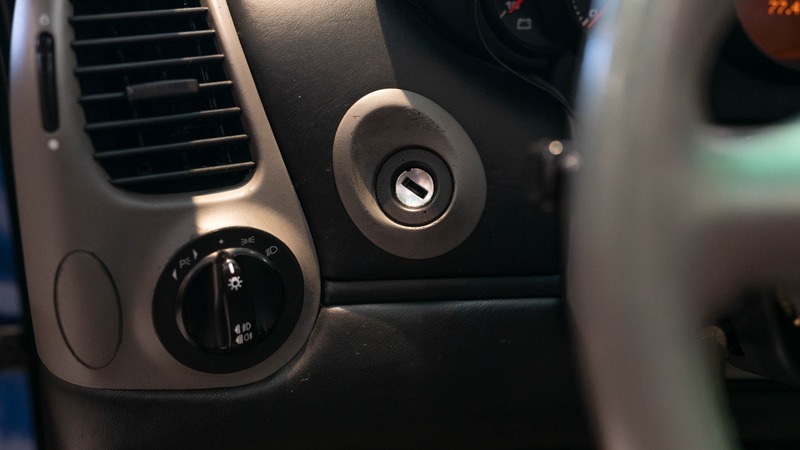 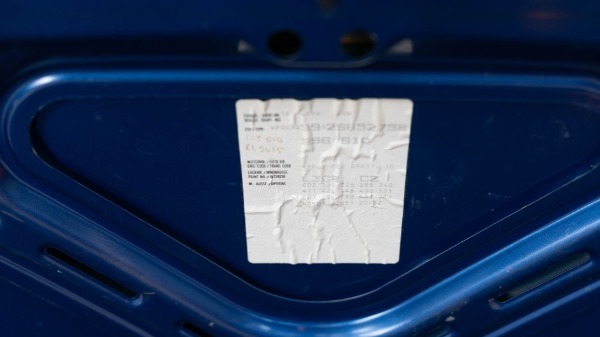 The exterior paint is glossy and presents well, but shows evidence of paint repair in several areas, although nothing indicates that the vehicle has been involved in any collisions. 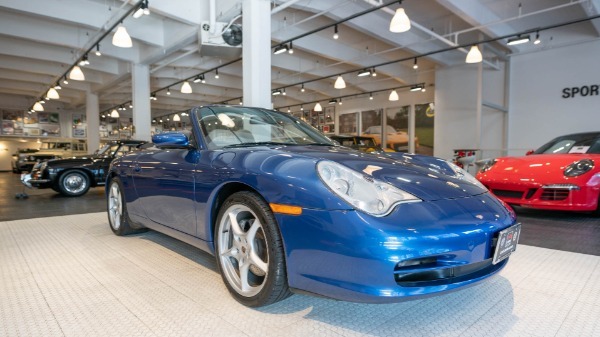 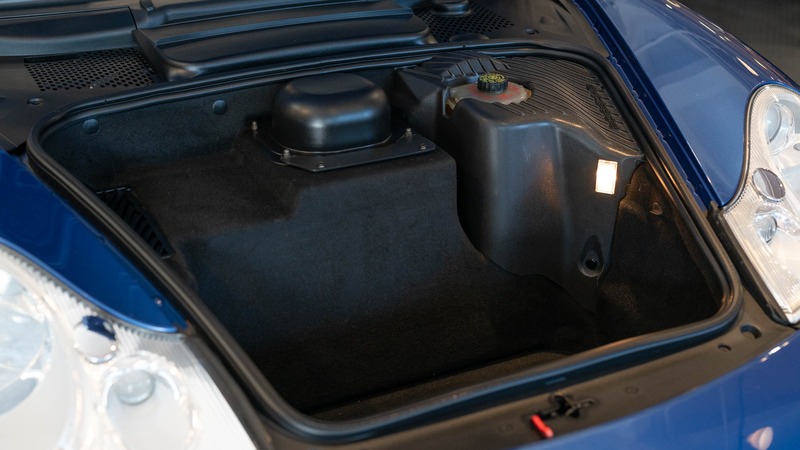 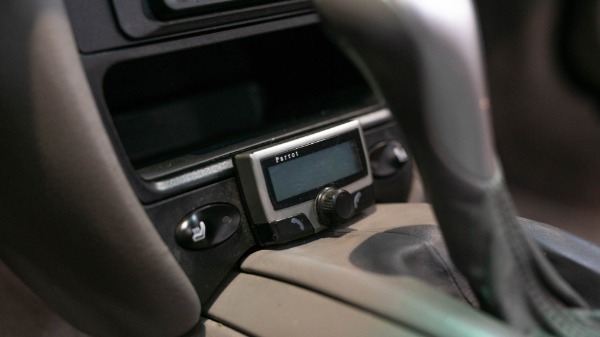 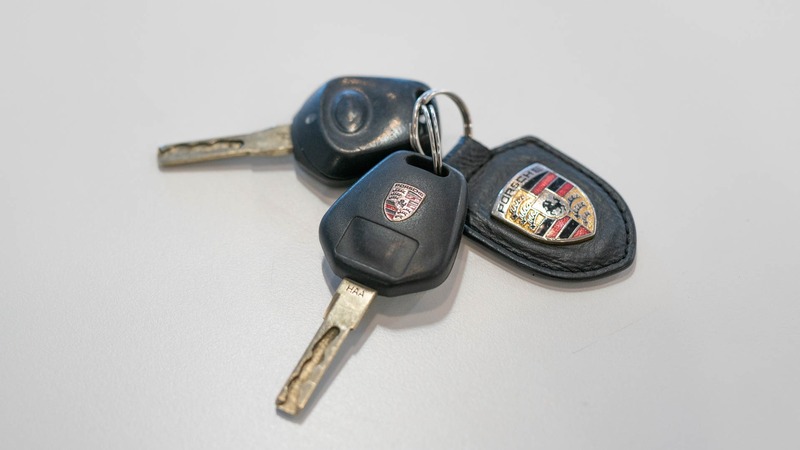 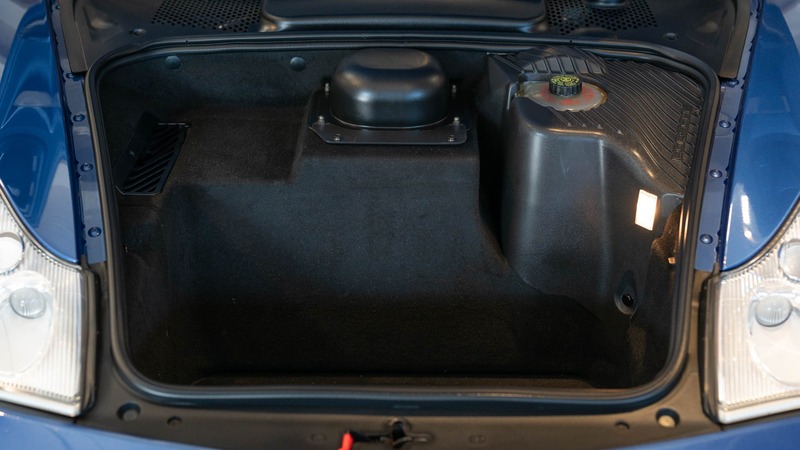 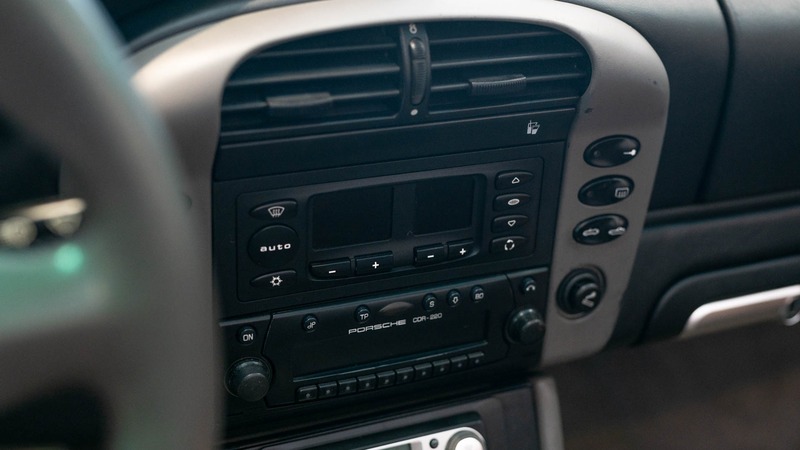 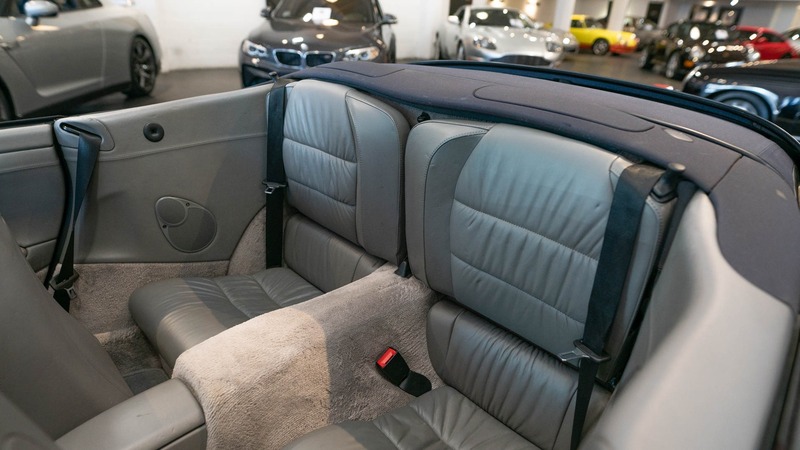 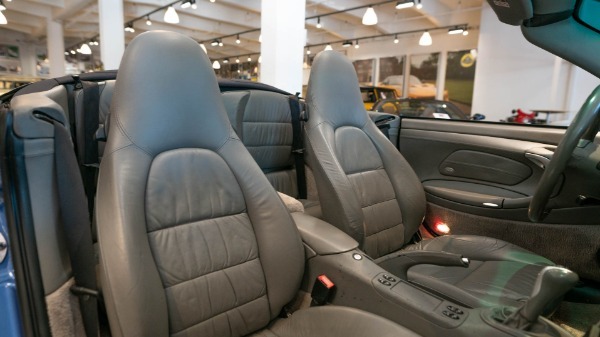 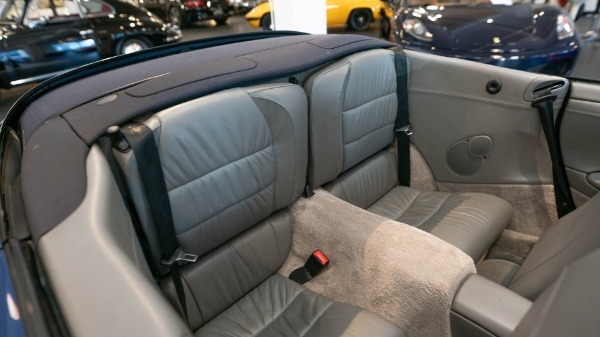 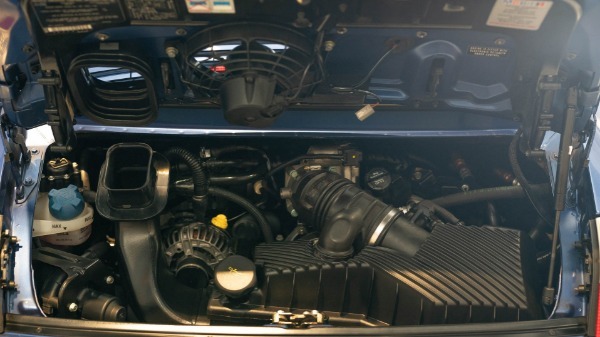 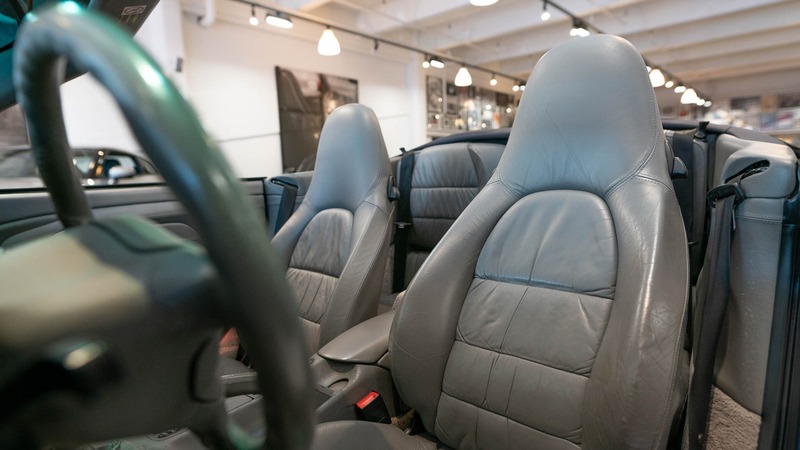 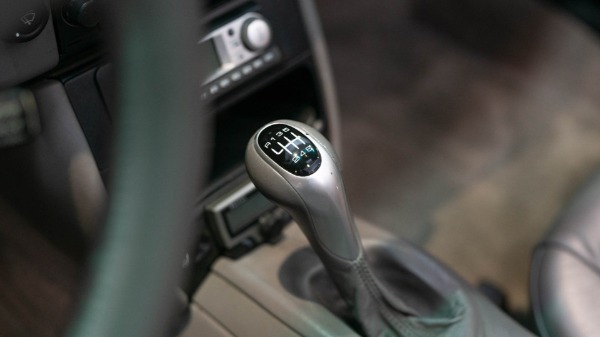 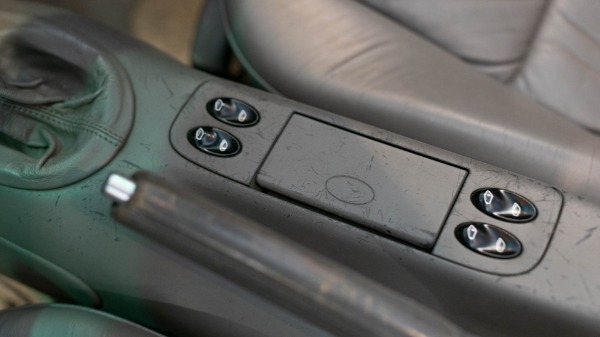 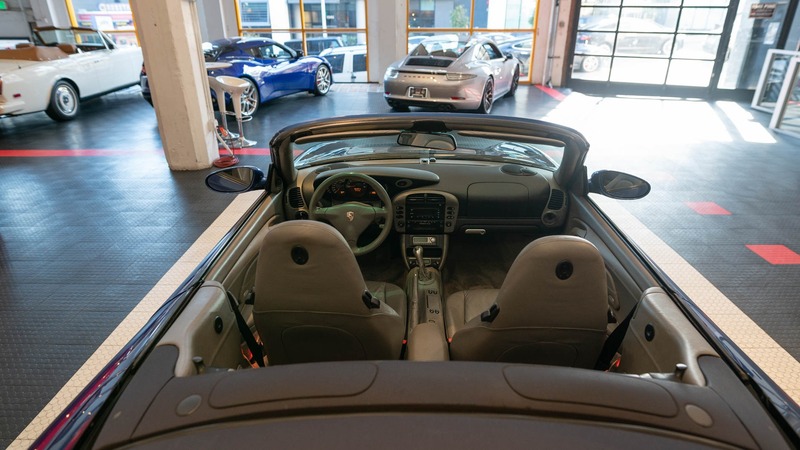 Overall, this is a solid mechnical driver's quality Carrera 4 Cab that has 11 months of powertrain warranty.